The Kennedy 50 is more than a walk. It's your support team, a community of walkers and lots of surrounding activities that will make this a lifetime experience. Get your event t-shirts, info kit and meet your fellow walkers and the Kennedy 50 support team. You'll get early information on the event and those participating.. It's an early dinner buffet and a time to load your carbs and meet other participants. Let us know if you have particular dietary need. For our mass transit participants, we will provide a free van shuttle ride from Union Station to the Clarion Hotel in Harpers Ferry. During our meet and greet dinner we are planning on scheduling a guest speaker covering interesting history of relevant topics and the local Harpers Ferry area. A 1:45 a.m. shuttle service will be provided for participants from event HQ to the starting point at Anglers Inn parking area of the C&O Canal National Park where the event begins. Check-in for all not staying in Harpers Ferry. Introductions and final instructions. Support services and alerts will be discussed. Handouts and instructions for assistance will be provided. We all begin walking in a stream past start timing detector. Walkers may choose their own pace and we recommend an open fellowship attitude and walking with others. It's time to really wake up as the sun rises and your body needs some fuel. We'll be there with bagels, donuts, hot oatmeal, fruit and hot drinks like tea and coffee. Share the company of fellow walkers, heaters and some shelter as we begin the long day ahead. At this halfway point you will enjoy a full lunch of sandwiches, sides and drinks (with vegetarian options). We recommend everyone taking at least a half-hour break in an open and very accessible area. Take a measure of your ability to carry on. 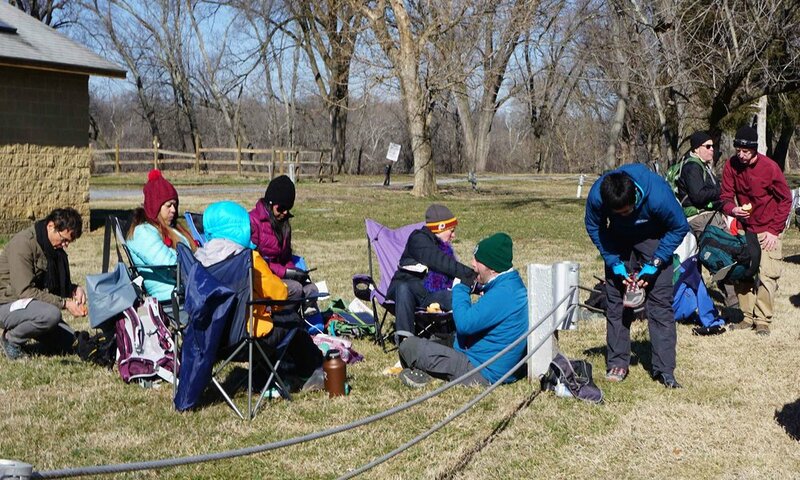 You'll appreciate energy-boosting and warming food choices before your final push to Harpers Ferry. Enjoy burgers, soup and recovery food (with vegetarian options) as we congregate and meet together to celebrate the days accomplishment. End the night at the White Horse Tavern located in the Clarion Hotel building and is open until 11:00 p.m.
A bus will return those participants that are not staying over at Harpers Ferry. We will provide an option back to the Bethesda Transit Center. All guests of the Clarion Hotel can enjoy a free hot continental breakfast. It's a great time to rehash the event and share ride and contact information. A van will return those participants that still need a return ride. The shuttle makes two stops: Anglers Parking Lot and Bethesda Transit Center. Catch a free ride on one of our shuttle vans heading to Union Station. Catch a free ride from hotel to the local Harpers Ferry train station for the one train (11:31 am ETD, #30 Capital Limited) heading to Union Station (ETA 1:05 pm). A van will return those participants that still need a return ride. The shuttle stops at Anglers Parking Lot.